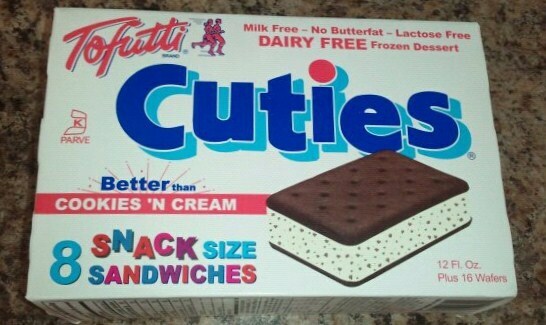 I had been meaning to try Tofutti Cuties since I went vegan, mostly because of how much Alicia Silverstone talks about the mint chocolate chip ones in the kind diet. They may not be the healthiest vegan treat, but they are really pretty tiny, so how much damage can they really do? : ) Here’s a pic of one in my [small] hand for reference of their diminutive size. Besides, it’s still summer, so you can totally get away with the, “but it’s so hot out!”, excuse. Believe me, you want to. These are SO GOOD! I’d never had Tofutti ice cream until I went to that restaurant at Disney World recently, and it was pretty yummy. 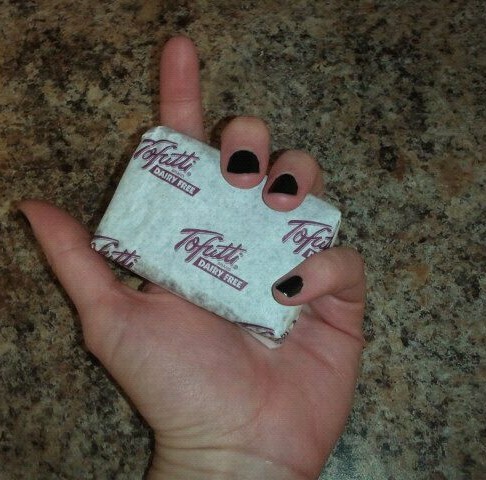 Have you had an ice cream sandwich in recent history? I hadn’t, and this totally took me back to the ones from school lunches. The ice cream was totally great, no weird soy aftertaste. The chocolate wafers were just how I remembered them from childhood. I mean, exactly. Just firm enough to give a good bite to the sandwich and mushy enough to just melt in your mouth with the ice cream goodness. Yum, yum, yum!